Garden incinerators & Fire Pits are proud to stock the fantastic La Hacienda Chimseal Clay Sealer For Chimeneas 1l. With so many on offer today, it is great to have a brand you can recognise. 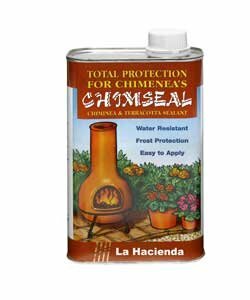 The La Hacienda Chimseal Clay Sealer For Chimeneas 1l is certainly that and will be a perfect purchase. 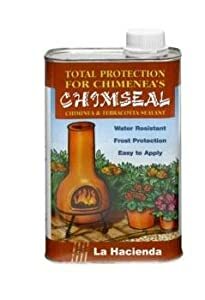 For this reduced price, the La Hacienda Chimseal Clay Sealer For Chimeneas 1l comes highly recommended and is a popular choice amongst most people. LA HACIENDA have provided some great touches and this means great value. Chimseal is the perfect product for protecting your chimenea, fire bowl, terracotta pot or any masonry product. This clear sealant is easy to apply and offers full protection against water and frost. Chimseal penetrates deep into the surface to rebuff alkalis and salts but still allows the surface to breath. Simply apply one to two coats by brush and leave for 24 hours to dry and 48 hours before lighting a fire.